Former New York City Police Commissioner Bernard Kerik said it was “outrageous” if reports were confirmed that four Broward County sheriff’s deputies failed to enter the Parkland, Florida, high school during a February 14 shooting that claimed 17 lives. “It’s outrageous. I’ve never heard anything like this before,” Kerik told Newsmax on Saturday. “If these reports are true, these deputies are constitutionally bound to engage the shooter to protect the students,” Kerik added. Kerik, who was New York’s police commissioner when the 9/11 terrorist attacks took place in 2001, said it was the nature and duty of law enforcement officers to “run into the buildings” during violent incidents. 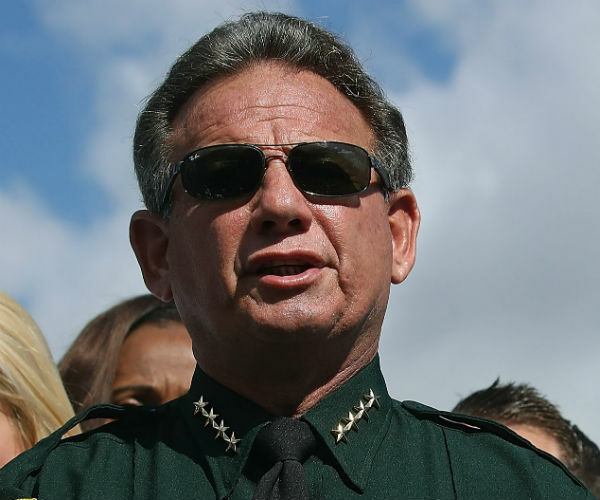 Earlier on Saturday, Kerik called for Broward County Sheriff Scott Israel to “step down” following reports that four of his deputies failed to enter the Marjory Stoneman High School during the shooting. “Yesterday after hearing that the resource officer failed to respond, I said that it couldn’t get any worse, and now this. At this point, the Sheriff of Broward County should not be investigating this event – the Florida Attorney General should take over. The Sheriff should step down!” Kerik, who is now CEO of The Kerik Group, LLC, posted on his Facebook page Saturday. “This department needs new leadership and obviously training. There are 17 people dead because of catastrophic failures by the local, state and federal government, but the cowardice by sworn law enforcement personnel is unfathomable,” Kerik’s post continued. Israel has come under fire following the revelation on Friday that a sheriff’s deputy assigned as the school’s resource officer failed to enter the building while the shooting rampage was taking place. In addition, according to a CNN report on Friday, three additional sheriff’s deputies on the scene purportedly remained outside during the incident. In addition to those killed during the attack, another dozen people were injured. The 19-year-old suspect in the attack, Nikolas Cruz, is in custody and faces 17 counts of premeditated murder. The incident has reignited the debate over gun reform. Israel, a vocal proponent of tighter gun control legislation, hammered National Rifle Association spokeswoman Dana Loesch during a CNN town hall forum on Wednesday over gun laws. The shooting was far from the first time local authorities were made aware of Cruz’s propensity to violence. Records indicate they and the FBI were alerted to him at least eight times over the past two years. As recently as November 29, the family that took Cruz in after his mother’s death told the sheriff’s office Cruz had threatened to “get his gun” after a fight with their son, and on January 5, a caller told the FBI tip line that Cruz could become a school shooter based on an online post allegedly saying he had a “desire to kill people.” That message was never passed on to the Miami FBI field office.